Crow Stalker has heard the first baby crows of the season. A big surprise for this early in the spring. The first one is in a nest nestled in the madrona forest along the beach trail. He was crying his lungs out and I took quite a few pictures of his sturdy home hoping mom or dad would show up with some food. When I left I found them around the trail curve. They knew I was there and was awaiting my retreat. Fed them some peanuts in hopes that will keep their baby full. Next as I got closer to home I heard another baby. Yesterday when I left for the grocery store I thought I had heard that distinctive crow baby cry. 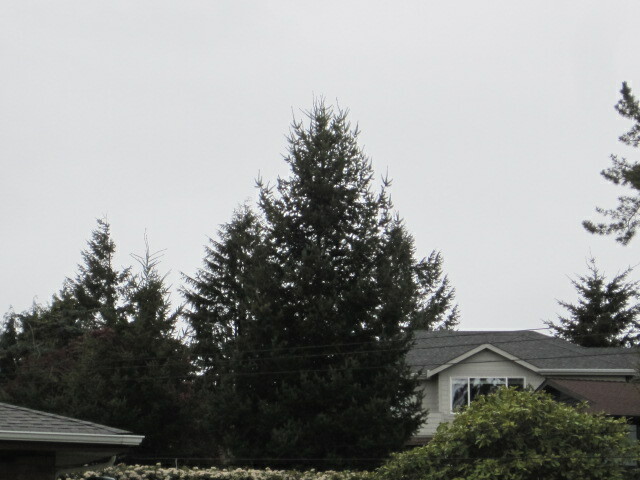 It was coming from Marine View Drive and sure enough there in a little tree behind a house on MVD was the little guy. Finally, for your listening pleasure here is a short video so you can learn what a baby crow sounds like. First you will hear a seagull cry but then the rest is his shrill little voice begging.